On lobby transparency, Finnish embassy to the EU leads by example: other government representations need to follow! Next week Wednesday 13 February, Parliament, Commission and Council meet for the next political negotiation for a stronger EU Transparency Register for Lobbyists. Commission decided in 2014 that Commissioners, their cabinets and directors-general must only meet registered lobbyists and publish their meetings online. Parliament, just last week (31 January) adopted binding lobby transparency rules for decision makers among MEPs. Rapporteurs, shadows and committee chairs have to list online their lobby meetings. The original amendment for this rule was a Green initiative, based on the report on transparency, accountability and integrity in the EU institutions drafted by Sven Giegold. The Council of Member State remains as only EU-institution without any binding lobby rules so far. 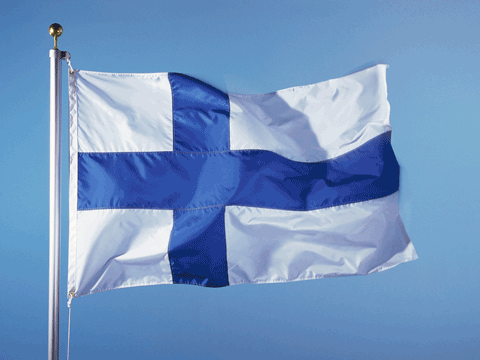 „Finland has a long history in successfully pushing forward good governance and administrative transparency. I am very glad to see Finland taking the lead in lobby transparency, and I hope that the other member states decide to follow soon enough. “The German representation in Brussels should offer the same lobby transparency as their Finnish colleagues. The Finnish online publication of lobby meetings is a remarkable exception in the black hole of the otherwise notoriously intransparent Council. The blockade of national governments against binding lobby transparency in Council undermines the good name of Commission and Parliament as leading in lobby transparency. 14.01.2019: Meeting of the Deputy Permanent Representative and Director of the EK Office in Brussels. Permanent Representative, Ambassador Marja Rislakki met Geert Cam, CEO of Friends of Europe think tank on December 18, 2013 at 13:30. When requested by the NGO Corporate Europe Observatory, the 3 PermReps of the Netherlands, Ireland and Romania released their lobby meetings. The Dutch and Romanian PermReps included the lobby meetings of staff attending the Council’s Working Groups where EU laws are negotiated in detail. The Portuguese and British PermReps keep records, but rejected the request to release them. 6 PermReps including Germany answered they do not keep sufficient records of lobby meetings. 7 PermReps including France, Italy and Poland did not care to reply within half a year. The list included the name of the organisations met, the Ministry involved, the date of the meeting, and the subject matter discussed. The list of included the date of the meeting, the name of the lobby group met, and the general theme of discussion.